The above traces are from 61 Cross Country flights I had in 2013, totaling 20,438 miles (32,892 km) and 361 hours, averaging 335 miles per flight. The flights spanned 5 states (California, Nevada, Utah, Arizona, Oregon) and multiple landmarks and National Parks (Mt Shasta, Mt Lassen, Crater Lake, Lake Tahoe, Grand Canyon, Zion Canyon, Lake Powell, Big Sur) and visited 20 airports (half of them unplanned landouts). This was another record year - more distance, more hours (and more landouts...) than any prior year. Flew straight out wave flight from Byron to San Luis Obispo via Big Sur coast. 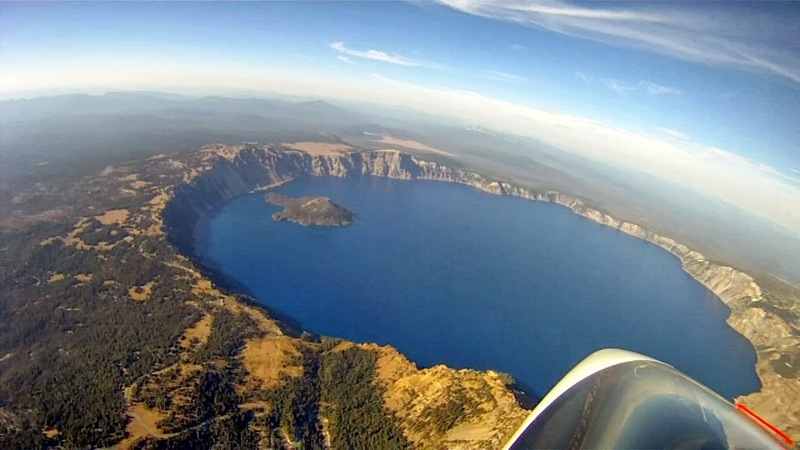 My longest and one of my most memorable flight north from Williams to Crater Lake, Oregon and back to Shasta.